This year, the festival will expand with new Future World marketplaces featuring fresh culinary concepts to pair with select wines, beers, cocktails and other beverages. ABC’s Emmy Award-winning lifestyle series, “The Chew,” will broadcast from the festival for the first time (shows to air October 12-16) and will participate in two of the new Future World festival marketplaces: Sustainable Chew, offering guests a taste of delicious dishes inspired by “The Chew” co-hosts, and Chew Lab, where food science meets the hottest culinary tech trends with dishes like the Liquid Nitro Chocolate Almond Truffle with Warm Whiskey Caramel. In Future World, the Ocean Spray Cranberry Bog returns for a fourth year to celebrate the cranberry’s rich agricultural heritage. Meanwhile, Remy, the diminutive but determined star of Disney’s “Ratatouille,” will cook up family fun with Remy’s Ratatouille Hide & Squeak scavenger hunt. Guests can also enjoy free nightly Eat to the Beat concerts nightly, which will kick off with David Cook, and include popular acts like WIlson Phillips, Sister Hazel, and Jo Dee Messina. Four new acts will grace the stage this year: Tiffany, Everclear, Maxi Priest and Chaka Khan. All artists will perform three sets each night. For a full schedule of concerts, click here. New marketplace dishes like the Grilled Sweet and Spicy Bush Berry Shrimp (Australia), Pepper Bacon Mac ‘N Cheese (Farm Fresh) and Seared Venison Loin with Wild Mushroom Marsala Sauce (New Zealand) will tempt taste buds, alongside fest favorites like the New England Lobster Roll (Hops & Barley) and the Canadian Cheddar Cheese Soup. 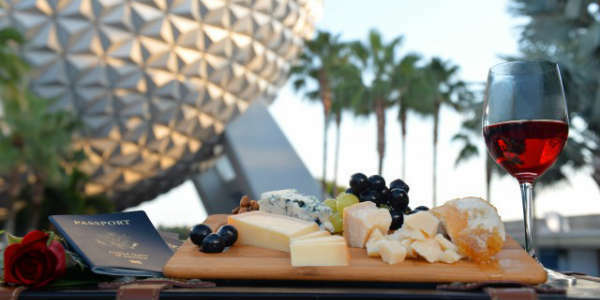 Included with your Epcot admission are the Back to Basics series, special book signings, and Eat to the Beat concerts. There are also seminars, and special events that are available for an additional cost, like the Party for the Senses grand tasting events. For more information, visit EpcotFoodFestival.com. I click “like” a billion times if only Facebook would allow it!